Any time there is water damage to your home or business, it is important to act quickly to minimize the damage and to begin the restoration of your home. Water damage can cause immediate damage to your belongings and then there is the long-term damage caused by mold and deteriorating materials. Water Restoration in Norman, OK. can include drying your belongings as well as full scale renovation of damaged drywall and other building materials. J & J Floorcare specializes in water restoration procedures for home owners that have experienced floods or major water leaks due to leaking roofs, broken pipes and leaking faucets. You may need to contact a specialist to fix the main problem such as a plumber to fix a broken pipe. Once the immediate water problem is dealt with, restoration of your home can begin. If your insurance covers water damage, we will work with your insurance company to manage the costs and ensure that your home is brought back to its original state based on the insurance coverage you have. This is an important consideration for many home owners. We can help them prepare estimates and provide quotes for their insurance companies who may be approving the work that will be completed. Water can penetrate walls, soak rugs, ruin paint on walls and cause floors to buckle. These issues need to be dealt with quickly and promptly to minimize the damage. Once the carpets have been dried and cleaned they can be returned to your home if they were removable. Sometimes Water Restoration in Norman, OK. of your home can take a few days or even weeks depending on the amount of damage. 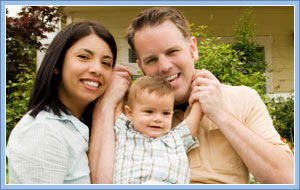 Rest assured we will work as quickly as possible to get you back into your home. Call us today for all your water restoration needs.